These applications require pharmaceutical-grade water to be used, which is water that has been through a chemical purification step. Purification is undertaken so that the water is free of substances that might cause interaction with drug substances, as well as to obtain water of an appropriate microbiological standard. Microbiological risks are ever present with water systems. Risks can arise through poorly maintained water generation systems, through badly designed distribution networks (such as the presence of dead legs), or at user outlets (where ineffective tubing management can lead to contamination). Weaknesses in water systems are exacerbated by microorganisms being ubiquitous and varied in their ability to survive and grow under different conditions. Therefore, monitoring pharmaceutical-grade water systems for bioburden is important. We are concerned with two primary types of water: purified water and water for injections (WFI). Both types should be assessed for bioburden, while WFI also requires bacterial endotoxin testing. This article addresses methods for bioburden testing. Unlike chemical analysis (conductivity or the examination of total organic carbon), microbiological assessment using conventional culture-based methods is less accurate and the result obtained far more slowly. While rapid microbiological methods are gradually being implemented (such as ATP bioluminescence techniques, or the use of fluorescent DNA-specific dyes) most microbiological assessments of pharmaceutical grade water are reliant upon cultural methods.1 This means bioburden results are not available until several days have elapsed2, a fact which places considerable emphasis on good design principles but means that the reaction to an out-of-trend situation is often very slow. This article assesses the different approaches that can be used for the microbiological assessment of pharmaceutical water systems, examining both cultural based methods and alternative methods, arguing that rapid methods offer significant advantages. The most common means to assess the microbial count from a sample of water is a culture-based method. This is through the deployment of a total microbial aerobic count (TAMC) method, either pour plate or, preferably, membrane filtration (due to the larger sample size). In the European Pharmacopeia, the method, sample size, culture medium and incubation conditions are pre-set for purified water and WFI. But in the United States Pharmacopeia (information chapter <1231>) these conditions are left to be determined by the user. The culture medium recommended in the European Pharmacopeia is R2A (Reasoner’s 2A agar), which replaced a more nutritious medium through a monograph update in 2002. R2A was designed for performing the heterotrophic plate count for water samples. R2A is a nutritionally reduced media (in that the levels of peptone, yeast extract and dextrose are considerably lower than standard plate count media like TSA), which aids the recovery of stressed or sub-lethally damaged microorganisms.3 R2A was designed to be used with a longer incubation time (relative to the more commonly used TSA) at a temperature of around 20C. 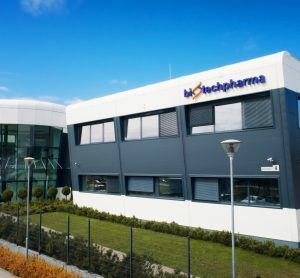 Oddly, the European Pharmacopeia requires the medium to be used at a higher temperature (30-35C) and for a relatively short incubation time (five days) – a requirement which runs counter to the theoretical design and initial application of the medium. It is uncertain why this is so, other than the time and temperature combination did not change when the medium was supplemented with the 2002 revision. The USP is not prescriptive in terms of microbiological culture media and incubation times (indeed it also paves the way for adopting rapid microbiological methods, as discussed below). The USP discusses the merits of various agars, including the more nutrient-rich Plate Count Agar (PCA) for the isolation of heterotrophic bacteria and low-nutrient media like R2A (for the isolation of slow-growing ‘oligotrophic’ bacteria). The USP states that an evaluation must be undertaken in order to select the most appropriate microbiological agar for the intended system. The point made is that all water systems differ based on geography and seasonality, therefore a universal approach is probably inappropriate. In addition, the USP does not specify any action levels, whereas the European Pharmacopeia does, using the specification of 10 CFU/100ml for WFI and 1,000 CFU/ml for purified water. This approach of not setting action levels is similar to the USP aseptic processing chapter <1116>, where the 2012 revision removed numerical action levels and proposed a contamination rate metric should be used instead to count non-zero events.4 While the USP approach for microbiological water assessment makes sense (different sources of water and manufacturing processes will vary and risks will vary), this method makes things more difficult for internationally comparative quality standards to be maintained. 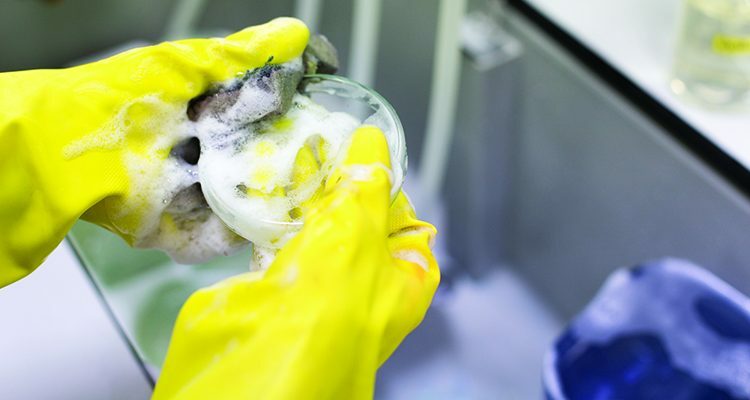 As well as the differences between culture media, and the lack of any universal medium or incubation conditions, it is important to note that any microbiological medium will have inherent variability. This is because key ingredients – peptones – are derived from plant and animal material, meaning they are not chemically defined. In addition, the ingredients can be affected by other factors like the mineral content of water. Some organisations, depending on the quality of the in-coming water, also undertake specific pathogen testing. The pathogens selected will depend on risk assessment and the risk of transfer to the purified water system. An example is a test for total coliforms, since these are indicators of organic pollution in potable water. For instance, the bacterium Escherichia coli indicates pollution of human or animal faecal origin. Using cultural methods, the use of selective agars or an enrichment step represents the primary test method. Rapid and alternative microbiological methods are based on technologies that are either growth-based, viability-based, or based on surrogate-based cellular markers for a microorganism (such as nucleic acid-based, fatty acid-based). These methods tend to be automated and offer a faster time-to-result, as well as increased sensitivity. A selection of these methods is discussed below. This technique utilises an enzymatic reaction as the detection signal. Adenosine triphosphate (ATP), a component of all living microorganisms, is allowed to react with the firefly enzyme luciferase. The enzyme reagent catalyses the conversion of microbial ATP into adenosine diphosphate (ADP) and light with the resulting light flash measured using a luminometer. Systems based on ATP technology capture light signals emitted from the microorganisms captured on a membrane after the water has been filtered, using specialised imaging technology. To ensure that there is sufficient ATP present for detection, an enrichment step requiring 24-hour incubation is used.6 However, by replacing colony formation as the detection signal with an enzymatic reaction, considerable time savings are achieved compared to conventional methods. Samples are read by processing using image analysis software; here the bioluminescence from each microbial (or micro-colony, where cells amass together) is intensified several thousand-fold. The software counts the numbers of microorganisms present and provides a result per unit of volume. Light-scattering methods can be used for the detection of water pathogens. This is a form of flow cytometry. With this method, as the slip stream passes through the flow cell, it also passes through a laser beam. When particles of 0.4 microns to 10 microns in size are present, a specific multi-angle light-scatter pattern will be captured by the unit’s photodetector. This pattern is then analysed and compared to a bio-optical signatures database using proprietary algorithms. From this analysis, relative concentration is calculated and detected particles are classified as bacteria, spore, protozoan or ‘unknown’. The system does not provide viability data as it cannot differentiate between live and dead microorganisms. To carry out microbial identification, a portion of the sample must be retained and cultured. Direct counting of fluorescently labelled microbial cells has been available in its simplest form since the availability of ultraviolet light microscopes. Essentially, cells are stained with a fluorescent, DNA-specific dye, such as DAPI (4′-6-diamidino-2-phenylindole) and are counted. Marine biology and other environmental studies have repeatedly demonstrated that this technique produces results that are 100- to 1,000-fold higher than plate count methods. The reason for this is partly the phenomenon of viable but non-culturable (VBNC) microorganisms, and partly the fact that dead microorganisms are labelled and counted. The major drawbacks of this type of direct counting are firstly the inability to distinguish the living and the dead, and secondly, the sheer drudgery involved in manual counting. This can be overcome through automation and the use of fluorescent viability markers to obtain total viable counts within a few hours and without the need for growth. 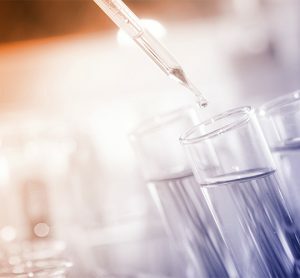 This article has assessed the primary methods for examining of pharmaceutical grade water, considering both cultural techniques and rapid (alternative) microbiological methods. The limitations (not to mention compendia disagreement) of cultural methods are apparent. Nevertheless, cultural methods remain predominant for the assessment of pharmaceutical water systems. In contrast, several rapid methods – of which some of the technologies have been described here – offer greater advantages in terms of accuracy and time to result. There are signs that a shift towards more rapid and accurate methods is occurring, especially as technology develops. Although the approach to testing is important, it represents just one facet of microbiological control of water systems. Arguably an equal, if not greater, emphasis should be placed on systems design and control. It is also important that the samples taken are representative and taken aseptically using appropriate sterile containers. DR TIM SANDLE’s primary role is Head of Microbiology at Bio Products Laboratory, a sterile products manufacturer. In addition, he is a tutor with the School of Pharmacy and Pharmaceutical Sciences, University of Manchester, for the university’s pharmaceutical microbiology MSc course, and a longstanding committee member of the pharmaceutical microbiology society Pharmig. Cundell A, Gordon O, Haycocks N, et al. Novel Concept for Online Water Bioburden Analysis: Key Considerations, Applications, and Business Benefits for Microbiological Risk Reduction. 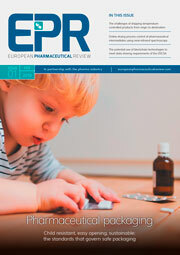 American Pharmaceutical Review 2013;16(3):26-31. Reasoner D, Geldrich E. A new medium for the enumeration and subculture of bacteria from potable water. Applied Environmental Microbiology. 1985;49:1–7. Sandle T. A Review of Cleanroom Microflora: Types, Trends, and Patterns. PDA Journal of Pharmaceutical Science and Technology. 2011;65(4):392–403. Marino G, Maier C, Cundell AM. 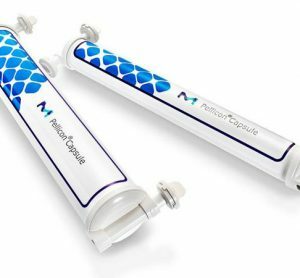 A Comparison of the MicroCount™ Digital System to Plate Count and Membrane Filtration Methods for the Enumeration of Microorganisms in Water for Pharmaceutical Purposes. PDA J Pharm Sci Technol. 2000;54(3). Costanzo SP, Borazjani RN, McCormick PJ. Validation of the Scan RDI for Routine Microbiological Analysis of Process Water. PDA J Pharm Sci Technol. 2002;56(4). Miller, MJ. A Fresh Look at USP <1223> Validation of Alternative Microbiological Methods and How the Revised Chapter Compares with PDA TR33 and the Proposed Revision to Ph. Eur. 5.1.6. American Pharmaceutical Review. 2015;18(5):22-35. Adler M, Wacker R, Niemeyer CM. Sensitivity by combination: immuno-PCR and related technologies. Analyst. 2008;133(6):702-18.